Click on dataviews, and choose query from the dropdown. Click new. 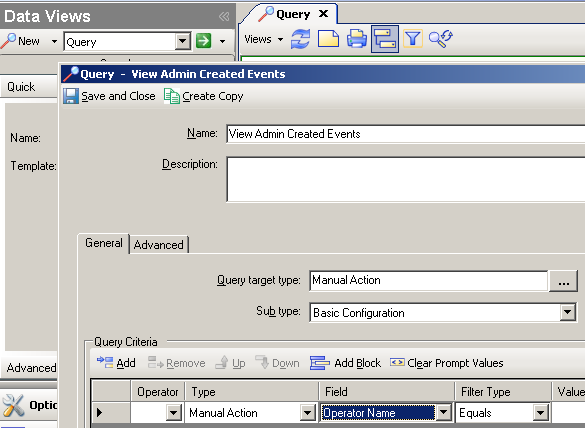 Query target is “Manual action”. 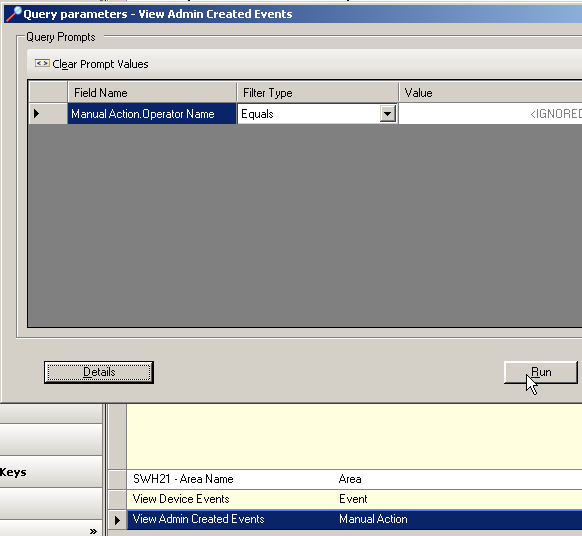 Click add on Query Criteria and choose field type as “operator name”. Once you are ready to run the query, open the query list and double click the newly created query. Click the run button. The results will be all administrator created events. You can right click on them and get details about what object is effected as well as what time schedule it is effected in. You can also right click and choose to “cancel” an event!